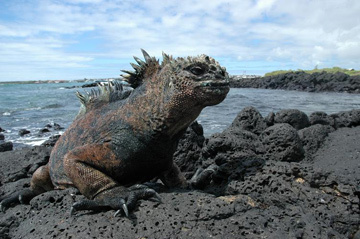 As the world’s only sea-feeding lizard, Galapagos Marine Iguanas have long held a unique place in the animal kingdom. While most of their life is spent on land, these lizards forage the seas for their staple food: algae. Now, new research has provided this species with another distinction: although the Galapagos Marine Iguana is mute, it recognizes and utilizes the alarm call of the Galapagos Mockingbird. This is the first instance of a non-vocal species eavesdropping on another species’ calls. 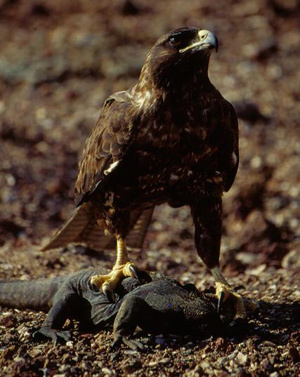 Both the iguana and mockingbird fall prey to the Galapagos hawk, so by recognizing the mockingbird’s warning the iguanas gain important information on avoiding predation. 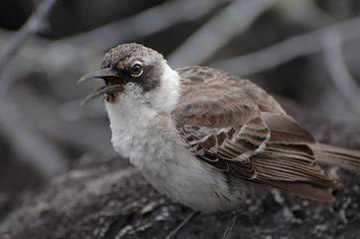 To verify this behavior, researchers on Santa Fe Island in the Galapagos recorded and played vocalizations of the Galapagos Mockingbird to communities of iguanas. The researchers watched the behavior of young and female iguanas (the larger males are rarely preyed upon by hawks). Approximately 45% of observed iguanas displayed vigilance behavior when the mockingbird’s alarm was played. However when the mockingbird’s song was played only 28% of iguanas reacted vigilantly, proving that certain iguanas can actually distinguish between the mockingbird’s alarm call and its song and thereby act accordingly to the threat. Acting accordingly for an iguana is vitally important. As cold-blooded animals, one of the iguana’s paramount concerns is energy conservation. It takes a lot of energy for iguanas to make quick escapes from hawks, therefore the early warning of a mockingbird may allow the iguana time to scan the sky and judge the threat-level accurately. The ability to distinguish between the mockingbird’s calls adds an even higher level of threat assessment. So far research has been confined to Santa Fe Island, which contains between 5 and 10 percent of the total Galapagos Marine Iguana population. 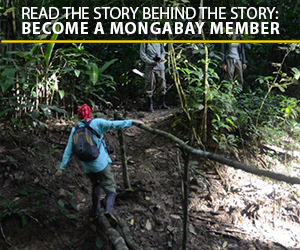 Researchers hope to explore other islands and their populations to discover if they posses the same ability. As well, researchers hope further study will allow them to say whether the eavesdropping on mockingbirds is a learned behavior or ingrained. Citation: Maren N. Vitousek, James S. Adelman, Nathan C. Gregory, and James J. H. St Clair (2007). Heterospecific alarm call recognition in a non-vocal reptile. Biology Letters.